Nutrex Hawaii supplements use traditional natural ingredients found on the islands to promote overall health and wellness, while also supporting environmental sustainability. Founded in 1990, Nutrex Hawaii harnesses the benefits of microalgae and other natural resources, many grown in the ponds of their own pesticide- and GMO-free farm. Meanwhile, the patented Ocean Chill Drying™ helps protect enzymes and carotenoids from damage and oxidation. The most popular Nutrex Hawaii products include BioAstin Natural Astaxanthin and Hawaiian Spirulina Pacifica. 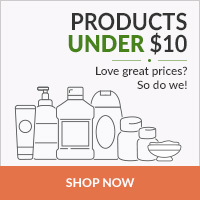 PureFormulas is proud to offer a selection of unique, high-quality formulations from Nutrex Hawaii. No worries if you can’t take a tropical getaway—this is the next best thing!